Introducing new range of solar energy / solar powered to bring safety on the road to save lives of human beings as well as save electricity. The super bright flashing led’s help vehicle drivers to gague the distance of approach well in time and avert a disaster especially in bad conditions of weather. These products draw energy from the sunlight and are absolutely maintenance free. These blinkers/ flashers/delineators are installed at critical. accident prone spots like blind turns, flyover, crossing, junction, cave/tunnel, speed breaker etc. 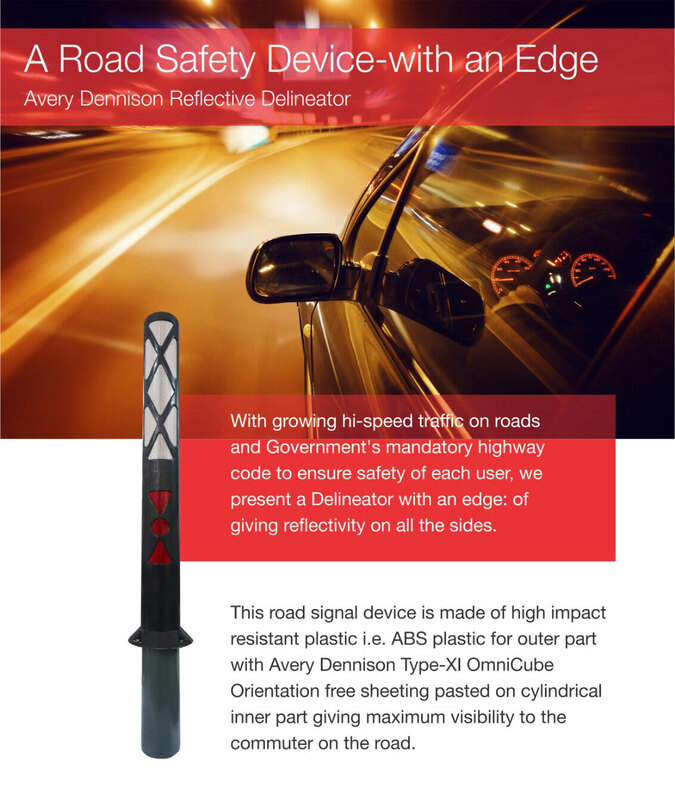 Solar delineators – work in two ways – active & passive both – active while flashing and also it has retro reflective coloured bands of sheeting which reflects when the motorist beam light fall on it.